It moisturizes the skin tissues and heals the cuts during shaving. It leaves a smooth and soft skin after every shave. It also cleanses and lifts impurities. 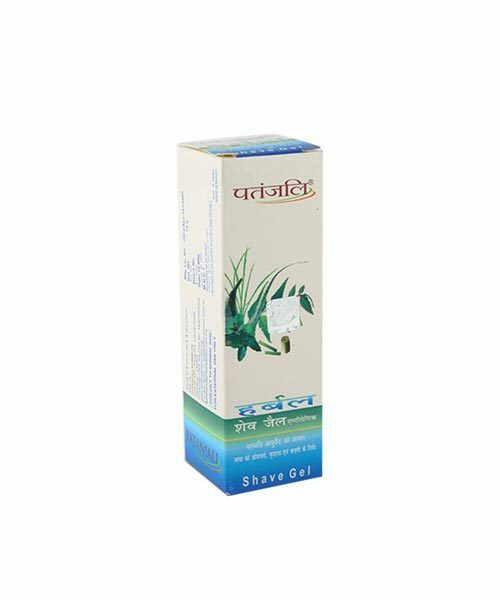 Experience a smooth and close shave with Patanjali Herbal Shaving Gel. Infused with the natural extract of Aloe Vera, Pudina, Neem, Tulsi and Turmeric, this shaving gel moisturizes the skin tissues and heals the cuts during shaving. It leaves a smooth and soft skin after every shave. It also cleanses and lifts impurities. This product from Patanjali is safe for regular use and doesn’t cause any skin irritation on the skin. Direction to use: Apply Patanjali Herbal Shaving Gel on wet face. Massage cream into beard and shave as usual. Rinse with cold water to close pores.